Gutters are important for directing water away from your home (and keeping it out of your basement). When they’re clogged with leaves, dirt, and other debris, water can’t run through them properly. It’s so important that you clean your gutters regularly to make sure the runoff from your roof doesn’t sit at the foundation of your home. Winter can be brutal on a roof, especially when temperatures fluctuate above and below freezing. This winter is a testament! Inspect your roof for loose or missing shingles, cracked caulk, and make sure your chimney cap is in good condition. Not sure what to look for? Exteriors of Lansing can help walk you through this process! Let the light in! Cleaning both the inside and outside of your windows is a great opportunity to make sure everything is looking as it should. Dirty windows do more than take away from your curb appeal. Hard water from sprinklers or hoses contains calcium and magnesium that can make their way into the glass and cause degradation. It can also affect your heat efficiency. As you’re cleaning, make sure all the seals look good and that all your windows open and close properly. If you need to replace a window, let us know! If parts of the exterior of your home are painted, spring is a great time to touch it up. Spruce up the exterior of your home by freshening up the paint on your doors, trim, and steps. You want to make sure you don’t have chipping paint and that your stains are looking great. Transparent stains need touched up more frequently than solid pigmented stains, but also retain a more natural look of the wood. Keep your landscaping looking tip-top. Remove dead plants and debris from your flower beds, planters, and yard. This will not only increase your curb appeal, but also keep your flowerbeds and yard healthier. It’s almost barbecue season! Set up your patio set, put your rocking chairs back on the porch, and make sure your grill is ready for summer. This is something we recommend doing at least once a month. Batteries should be replaced at least once or twice a year. It may seem excessive, but these little devices can save you and your family in the case something happens. 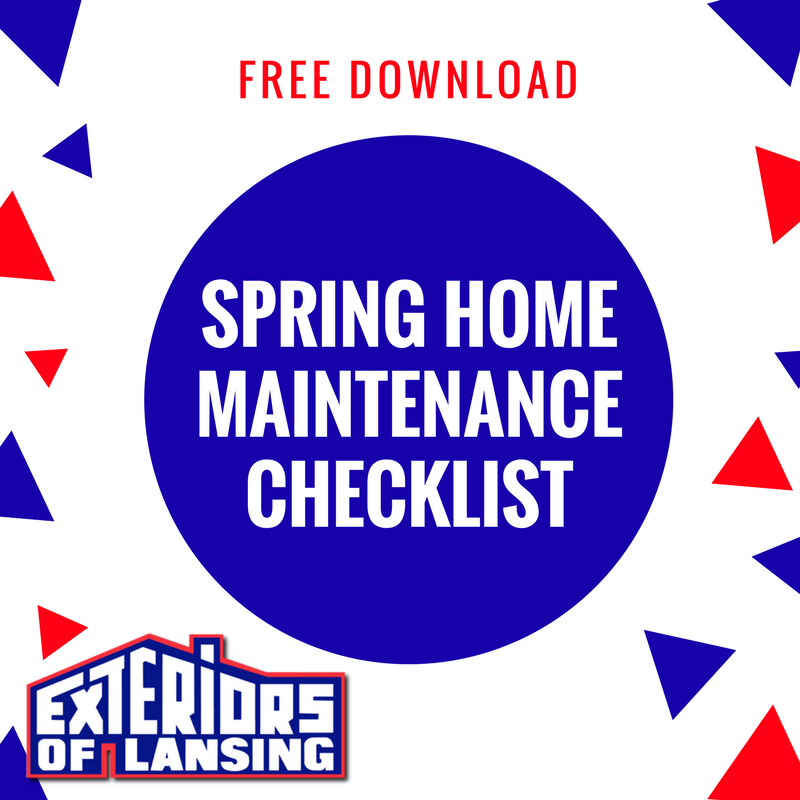 For a more extensive check list to make sure your home is ready for spring, download our free PDF check list here.